Wake-up that pretty little face! This gentle skin exfoliant, tightens and brightens. 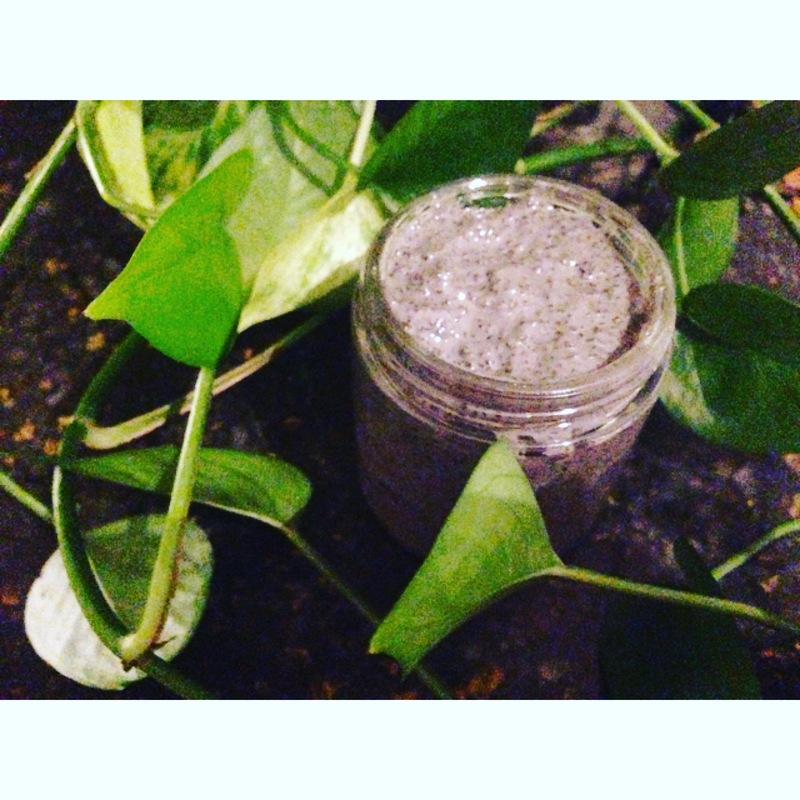 Activated charcoal absorbs toxins and removes unwanted grit from your pores. Leaving your skin bright and luminous! This blend is imbued with Patchouli, Sweet Orange and Grapefruit essential oils to relieve stress and inspire enthusiasm. Patchouli soothes inflammation, boosts energy and promotes a smooth, glowing complexion. Sweet Orange is uplifting, alleviates anxiety and even improves digestion. Grapefruit is rich in antioxidants, acts as a disinfectant, relieves stress and clears blemishes. 100% Authentic – so natural you could eat it! Like pure + free on Facebook! yoga and meditation for every soul, everywhere. be bright, be pure, be free.